It feels unlikely that Trevor Noah and Tomi Lahren will be sending each other Christmas cards. The “Daily Show” and “Tomi” hosts went at it Wednesday night on Comedy Central, Noah’s turf. And the comedian took full advantage of having the home field and a live studio audience. “Why are you so angry?” Noah started off the interview. It didn’t get much friendlier from there. “For somebody who is not racist, you have to spend a lot of time saying, ‘I’m not racist,'” he soon posed to the conservative Lahren, a rising star on Glenn Beck’s TheBlaze. The two then sparred over recent protests to Donald Trump’s presidential election victory and the Black Lives Matter movement. It probably didn’t help that Lahren’s previously compared the latter to the KKK. Later, the 24-year-old Lahren claimed she doesn’t “see color,” which drew a laughing-gasp from the Comedy Central crowd. That comment would come back to haunt her during a spat about Colin Kaepernick. Captain America continued to express his alarm about America in the days after the election. 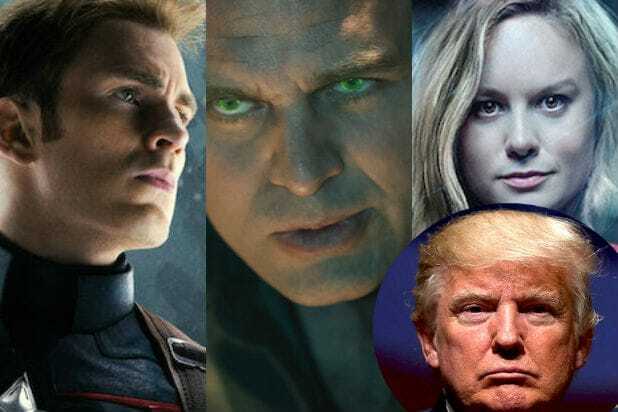 "Avengers" series director Joss Whedon has not minced words on Twitter when it comes to his opposition to a Trump administration.